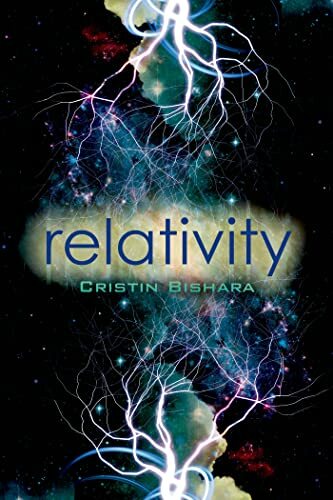 Still catching up on some of my unreviewed challenge reading from late last year… My last parallel universe book was Relativity by Cristin Bishara. Another YA one, it explored how a family and a town can change in different universes. Ruby’s mother died when she was four; now sixteen, her father recently moved them from California to a tiny town across the country, with a new stepmother and horrible stepsister. But then Ruby finds a mysterious old oak with a door in the trunk—and going inside takes her to alternate worlds. What if her mother didn’t die? What if she had an older brother? What if the town was a haven for art and science instead of, well, not one? What if her best friend from California lived in this town instead? How is Ruby different—and can she find the perfect life? This was a great one for exploring my favorite parallel universe question—how does one event in the past change everything that follows? I really enjoyed the exploration of Ruby’s different lives and how different she herself is. Her desire to find the “perfect” life is very relatable—and heartbreaking, because it’s so clearly a doomed quest. I’ve read varied versions of what happens when someone enters an alternate universe; in this one, Ruby remains in her own body, which steps out of the tree wherever the tree in that universe is standing, but the that-universe version of her disappears. So she never meets herself, but has to deal with other people’s expectations of who they think she is. She meets multiple versions of other people too, and in some cases we understand a character better through seeing different paths for them. We learn things in other universes that make the psychotic stepsister of Ruby’s home universe more sympathetic after all. I also like the handling of her best friend/maybe love interest. It never gets much beyond possibility, but seeing the possibility in other universes helps Ruby clarify her feelings in her home universe. And one of the big threads, of course, is about Ruby’s mother. Since she died when Ruby was four, she has only faint memories of her. Finding her in other universes lets Ruby learn more, or re-access long-faded details, like recognizing the smell of her mother’s grape shampoo. It’s a sweet and sad exploration of their relationship, and what it was like for Ruby losing her mother. I see something of a trend in my parallel universe readings, in that several have dealt with both parallel universes and grief. But I guess that makes sense—because why go looking for an alternate path unless there’s something you want to change in the current one?